Occasionally, I am asked why any Irish impacted by the American Civil War should be remembered in Ireland. After all, the argument goes, these people left our shores, and they weren’t fighting for ‘Ireland.’ In response, I usually point out that many were Famine-era emigrants, who often felt they had little choice but to leave. There are many other reasons for remembrance, but perhaps one of the most persuasive is that these emigrants tended not to forget those at home. 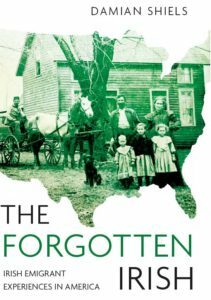 Whether we realise it or not, the ancestors of many in Ireland today benefited greatly from something that Irish emigrants to America sent back- money. One such emigrant was a man named Thomas Bowler from Youghal, Co. Cork. His decision to enlist in the Irish Brigade was almost certainly borne from a desire to help his wife and child, more than 3,000 miles away across the Atlantic. I sent some time ago through through [sic.] the priest attending this regiment 80 dollars which will I trust bring you 10 pounds of your money I sent it to Thos. Curtin broker in Youghal I hope you will have no difficulty in getting it. I hope you will not neglect answering it as soon as you receive it as it is natural to suppose that any man who sends so large a sum feels uneasy until such time as he receives an answer to it. I like soldiering very well, I do not know the moment we will go to the field of battle their will [be] great fighting this summer but of course I have as good a chance to escape as any other man. I am enlisted for three years or during the war. If it was over in the morning I would be discharged, but their is only a very poor chance of that but God is good and merciful. When you are writing let me know how all the neighbours are. I have no more to say but remain your affecttionate Husband Thomas Bowler. Let me know how the child is getting on and all other things also let me know how is my brothers and sisters. Thomas Bowler Widow’s Pension File WC115828. 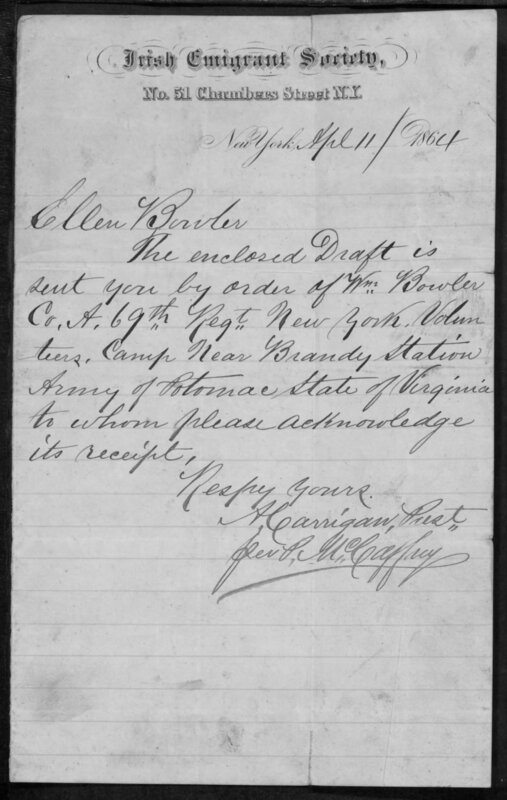 Emigrant Savings Bank Records, New York Public Library (accessed via ancestry.com). Henry & Coughlan 1867. General Directory of Cork. Marion R. Casey 2006. ‘Refractive History: Memory and the Founders of the Emigrant Savings Bank’, in J.J. Lee & Marion R. Casey (eds.) Making the Irish American: History and Heritage of the Irish in the United States, 302-331. New York Adjutant General 1901. Roster of the 63rd New York. New York Adjutant General 1901. Roster of the 69th New York. New York Adjutant General 1901. Roster of the 88th New York. Official Records of the War of the Rebellion Series 1, Volume 36, Part 1. Reports of Maj. Gen. Winfield S. Hancock, U.S. Army, commanding Second Army Corps, with statement of guns captured and lost from May 3 to November 1, and list of colors captured and lost from May 4 to November 1. 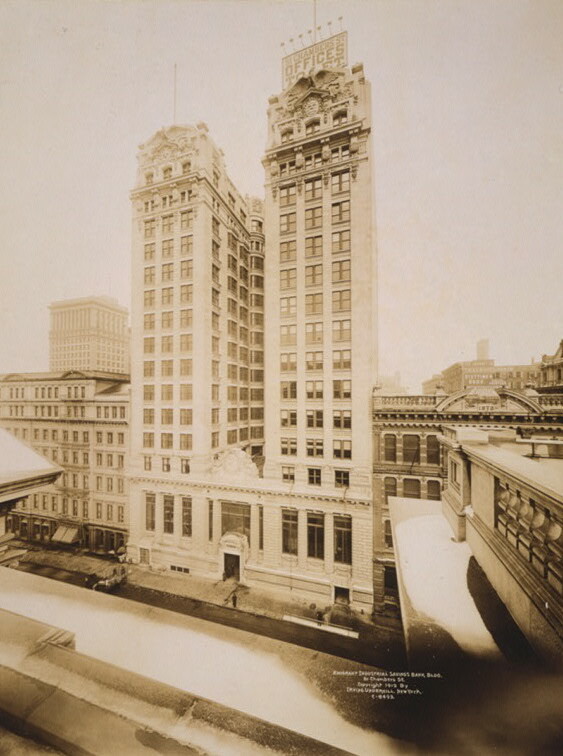 Emigrant was quite an important “people’s” bank in New York City before the banking consolidations. 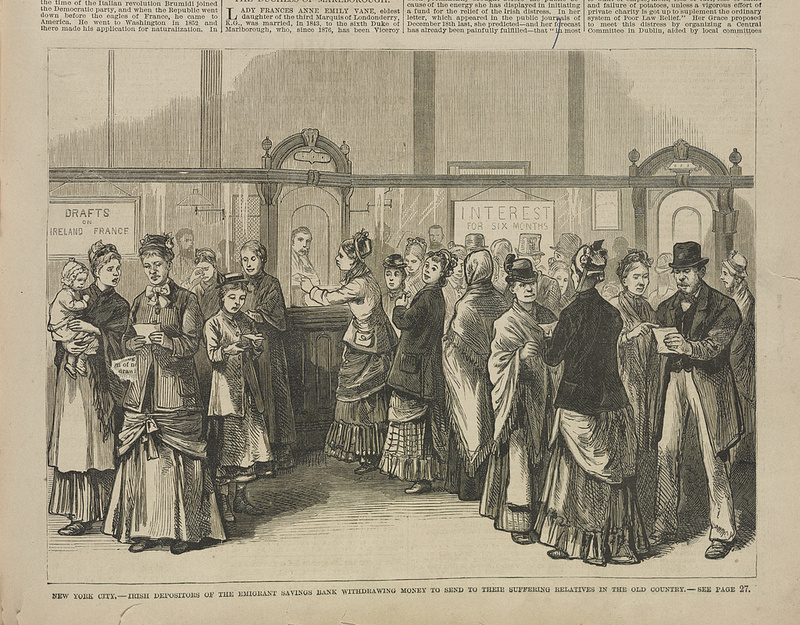 Remittances are an important part of modern immigrant life, but many Irish Americans forget that their ancestors did the same through this bank. Thanks for this. When did it cease to be an active bank? I was trying to find out a bit more about that aspect of it but didn’t come across anything reliable. I can imagine that is very true- it must be a constant cycle for the latest immigrant group in America. It is another example of how history can be used to demonstrate similarities in cases like this, as each new group goes through many of the same experiences and challenges, even where they are separated by more than a century of integration into the United States. This form of ‘remittance’ is often overlooked by Irish historians examining the funds sent back by emigrants. Great story though! I wonder how many people in Youghal are aware of it? Maybe we should launch a search for Tom Bowler! Ha! I think you are right! He is not the only Youghal veteran I have come across, another who has an incredible story fought during the war, served on the plains, and then came back to run a grocery shop in Youghal. We have been looking for his grave in the town. Also I haven’t given up hope on pinning down the graves of a few other East Cork veterans, something I must talk to you about sometime! This is a great piece, Damian. So poignant at the personal level, but making an important national point. Thanks, I really appreciate that, and thanks for reading!